The head of the authority said today that certain Member States have been asked to provide further information on their tax affairs. Joaquín Almunia, EU Commissioner for Competition, looking rather sparkly. THE HEAD OF Competition Policy at the European Commission said he intends to fully investigate tax loopholes in several EU states. 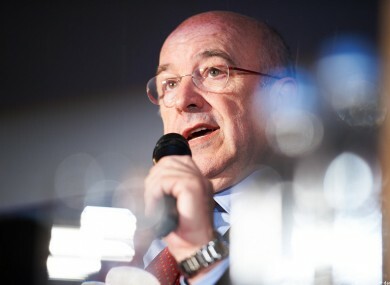 Speaking today at the European Competition Forum, Joaquín Alumnia said there are ‘doubts about the consistency of some aspects of [the] legal framework or of administrative practices’ in certain Member States that allows companies to avoid paying their “proper share” of taxes. He said that over the past few month several EU states have been contacted to provide more information on such tax affairs. Alumnia’s concerns stem from the possibility that these tax affairs are giving the companies in question an unfair advantage. Email “Legality of tax loopholes to be investigated by the European Union”. Feedback on “Legality of tax loopholes to be investigated by the European Union”.